Thank you, thank you, thank you! I am overwhelmed with the amount of support I have received from all of you! 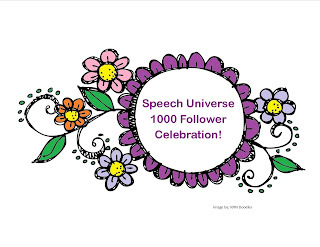 In celebration of this milestone, I am throwing a sale over at my TpT store. I am going to have my 10 most wish listed items on sale for 50% off until 10 pm (EST) today, July 21, 2013. Last winter, I created a freebie called Winter People Sentences: 3rd person pronoun use. I loved using it with my students. I have since made spring and summer editions too. 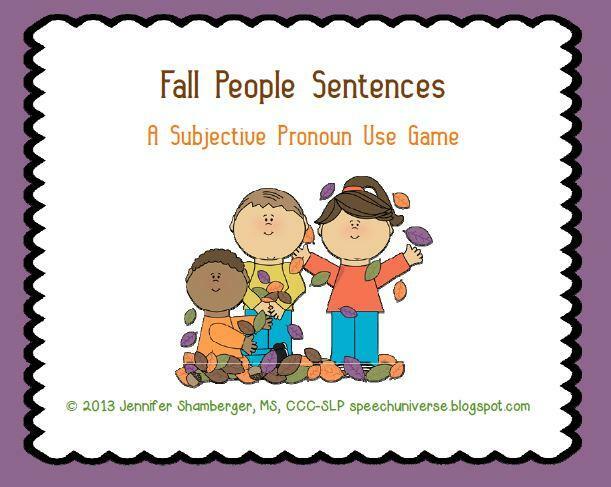 Now, I am excited to give you Fall People Sentences: Subjective Pronouns! 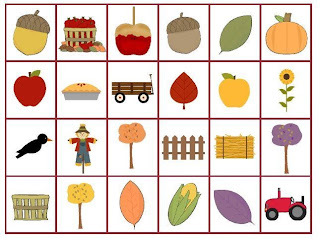 This free activity is the same as the previous free activities, except with a different theme. 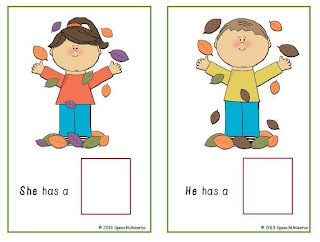 Students can work on using 'he, she, they' and also work on 'have/has'. 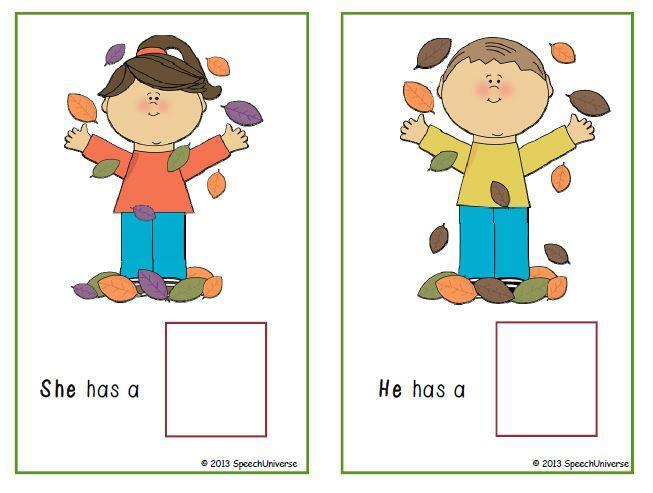 There are three mats with sentence starters available. 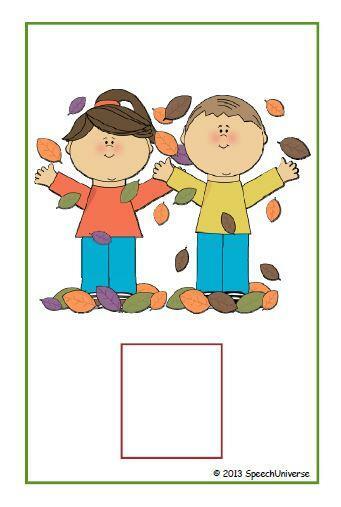 There are also three mats without words so that students may create their own sentences. There are 24 item cards to use to create sentences. You can get this fun, new freebie HERE. I hope you can take advantage of my sale today, and I also hope you enjoy this new forever freebie! Thank you again, for all of your support!